SVGs can also be referenced using an <img> tag or as a background image. This allows the images to be cached and we can avoid bloating your HTML with chunks of SVG code. But the downside is a big one: we no longer have the ability to manipulate those properties using CSS. Whenever I come across non-inline icons, my first port of call is to inline them, but sometimes that's not an option. So, how do you go about adding a colored hover effect to an icon if it's not an inline SVG? CSS filters allow us to apply a whole bunch of cool, Photoshop-esque effects right in the browser. Filters are applied to the element after the browser renders layout and initial paint, which means they fall back gracefully. They apply to the whole element, including children. Think of a filter as a lens laid over the top of the element it's applied to. Straight out of the box, there's no CSS filter that allows us to add our own specific color. We have hue-rotate(), but that only adjusts an existing color; it doesn't add a color, which is no good since we're starting with a monochromatic icon. If one of the filter functions doesn't exist, or has an incorrect value, the whole list is ignored and no filter will be applied to the element. I've made a little tool for this to make your life a little easier, as this is a pretty confusing process to guesstimate. Even with the tool, it's still a little fiddly, not supported by Internet Explorer, and most importantly, you're unable to specify a precise color. If we need more precise control (and better browser support) than CSS filters can offer, then it's time to turn to SVG. Unlike CSS, the filter isn't predefined for us, so we have to create it. How do we do this? 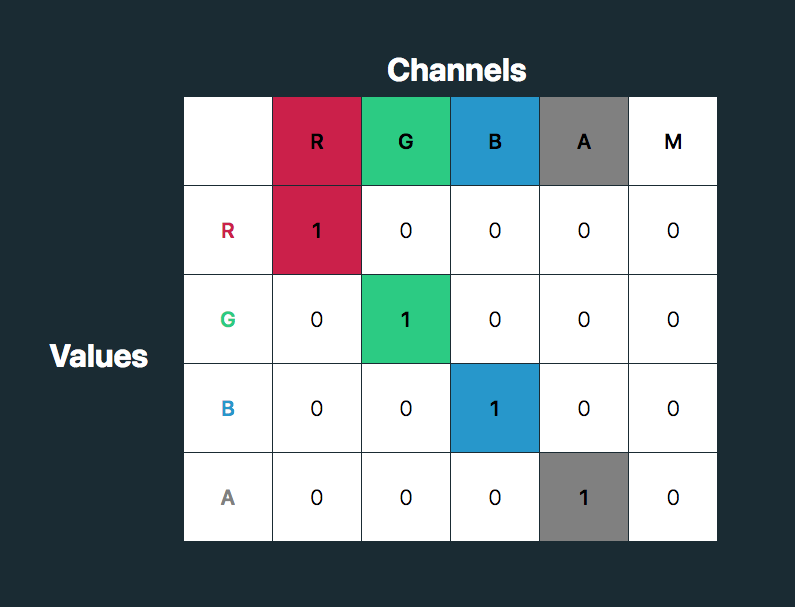 For our purposes we're just going to use feColorMatrix, but if you want to know more about SVG filters, you can check out the specs on MDN or this (in progress, at the time of this writing) article series that Sara Soueidan has kicked off. The color-interpolation-filters attribute specifies our color space. 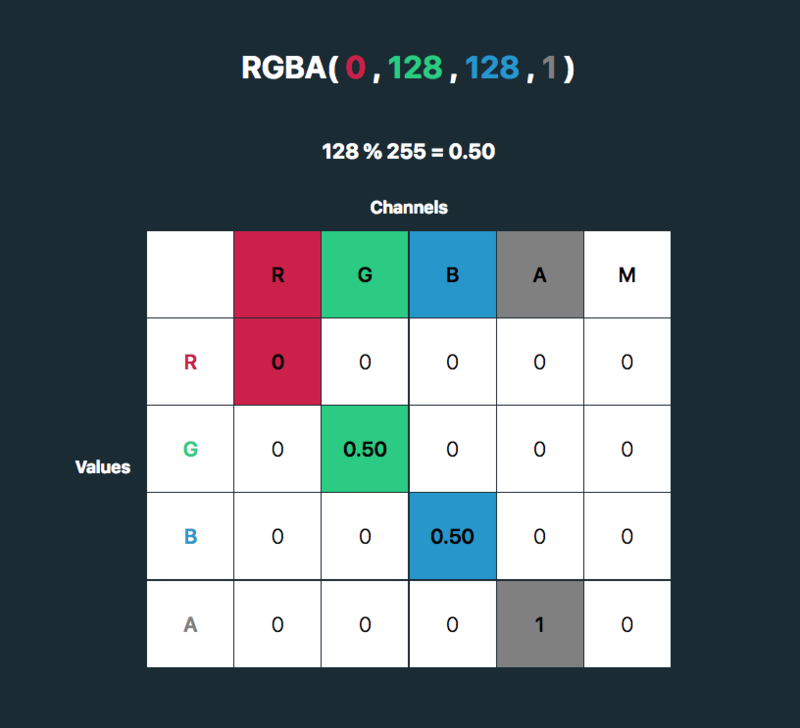 The default color space for filter effects is linearRGB, whereas in CSS, RGB colors are specified in the sRGB color space. It's important that we set the value to sRGB in order for our colors to match up. If we just have a hex code, the math is a little trickier, although there are plenty of hex-to-RGBA converters out there. To help out, I've made a HEX to feColorMatrix converter. You do not need your fill to be white to use feColorMatrix. The fifth column allows you to specify a color directly on a black fill. Its important to add color-interpolation-filters=“sRGB” to the filter element so Color expectations match. replacing (R/255) with the result of dividing your red value by 255, and so on. Thanks for this! I’ll update the article. Great article. Downside of SVG filters seem to be lese browser support though (again no IE but also no Edge and possibly others?). https://caniuse.com/#feat=svg-filters There’s actually better support for SVG filters!